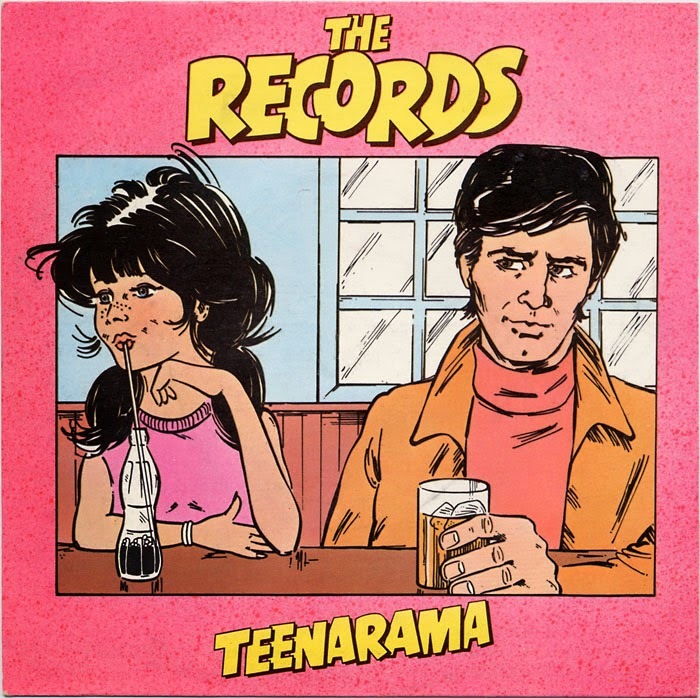 No Such Thing As Was: Going Too Far in 24 bars: The Records' "Teenarama"
Going Too Far in 24 bars: The Records' "Teenarama"
Eight phrases, sixteen words, a novel's worth of drama. (The band sings the exclamation points, too.) The emotional terrain that those four lines travel: excitement, impatience, embarrassment, lust, public posing, private desperation, wrongdoing. Sound familiar? But there are some feelings only music can translate, and what makes this part especially great is the hook-laden, 12-bar instrumental passage that follows these lines, nothing short of a pop score of the couple's troubles: excited, driving, treacherous, and blissful power pop, Huw Gower's aching guitar-leads soaring through the man's gusto and good intentions while disguising his remorse and better judgement. The final two bars of utterly gorgeous ahhh's lead into the chorus ("C-C-C-Cola is all you ever drink / the way you smile, the way you wink"), those ahhh's perfectly and humorously capturing how something so fucked up can feel—can be—so joyous, and yet inevitably must collapse. That old dilemma. Listen to the descending guitar leads crashing into reality. These 24 bars transcend the cliche "how can it be wrong when it feels so right" and you want to dance to and wince along with it at the same time. One of the great pop singles of the era, "Teenarama" is four minutes of hooks, harmonies, drama, and evocation. Play loud.